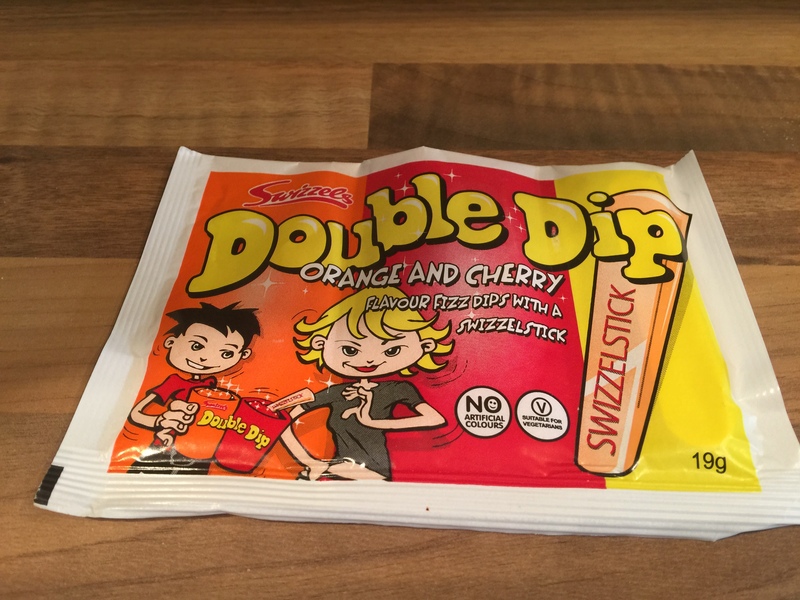 Separate the cherry and orange sherbet into two bowls. For the choux pastry, place the water, milk, butter, sugar and salt in a medium saucepan over a high heat and bring the mixture to a boil. Remove the pan from the heat and, using a wooden spoon, quickly beat in the flour until the mixture is completely smooth. Turn the heat down to medium, return the pan to the hob and cook for about one minute, beating all the time, or until the mixture comes away from the edge of the pan. Remove the pan from the heat and gradually beat in the eggs until you have a smooth, dropping consistency. (the mixture should just drop from the spoon, you may not need all of the egg to reach this stage. ) Transfer the paste to a large piping bag fitted with a 1.5cm fluted nozzle and let the mixture to cool for about five minutes in the bag to stiffen slightly before you begin the piping. Line a large baking tray with greaseproof paper and pipe on 12 éclairs, each about 15cm long. Bake the éclairs in the preheated oven for 30-35 minutes or until golden-brown, then transfer to a rack and leave to cool. In a large mixing bowl, whisk together the eggs and sugar until they turn a pale gold colour. Whisk in the flour and cornflour and set aside. Place the milk and vanilla extract in a heavy-bottomed saucepan, bring to a gentle simmer, stirring frequently. Remove the pan from the heat and let cool for 30 seconds. Slowly pour half of the hot milk onto the egg mixture, whisking all the time, then return the mixture to the remaining milk in the pan. It is important to slowly pour the hot milk onto the cold eggs before you return the mixture to the pan to prevent the eggs from scrambling. Bring the mixture back to the boil and simmer for one minute, whisking continuously, or until smooth. Pour the cream into a clean bowl and dust with icing sugar to prevent a skin forming. Cool as quickly as possible, by sitting the bowl of pastry cream in another larger bowl of ice water. When cooled, refrigerate until needed. When ready to fill choux pastry add 2 tsp of lemon extract to cream and stir well. Fill piping bag with cream and pump into cooled eclairs. For the glaze add 200g of the icing powder to a mixing bowl. Mix on a medium speed and pour in water. Mix until you have a sticky glaze like consistency. Now take your icing glaze and put it into a shallow bowl. Take your filled choux eclairs and dip into the icing to get an even covering. You could use a palette knife for this but I think the pastries are too delicate for this. 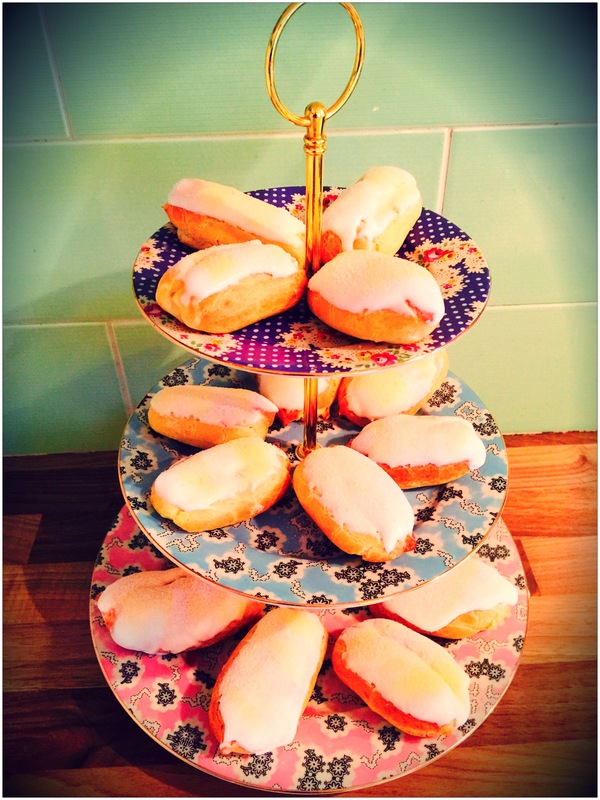 Sprinkle eclairs with fizzy cherry and orange Double Dip powder.